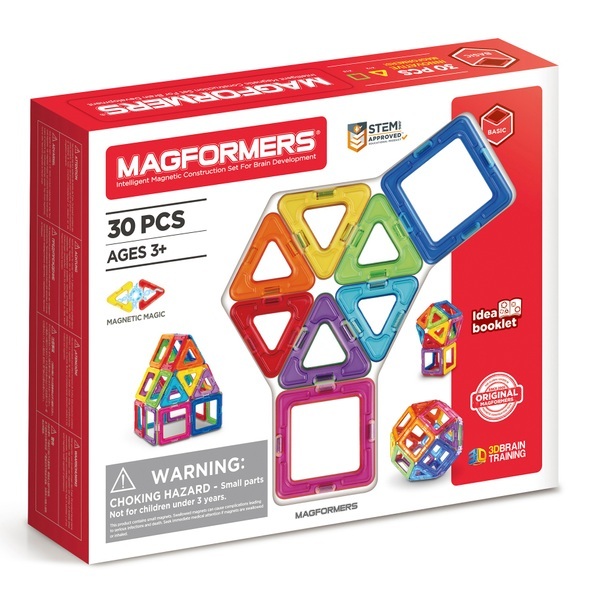 Create 3D structures with the award winning Magformers. The durable, magnetic shapes are ideal for little engineers. Build houses, towers and much more as you explore intriguing maths and science concepts. Each geometric shape encases spinning magnets that never repel, so you’ll always hear the satisfying click as they latch together! This high quality magnetic construction toy includes: 18 x squares measuring 6cm, 12 x triangles measuring 5cm and full colour model booklet. This Magformers 30 piece Construction Set can be combined with any other Magformers pieces.